All our vehicles are latest models, licensed by Dubai Transport & Abu dhabi Transport Authority, fully insured including passengers. Overall, Emirates Cab top in Customer Satisfaction, Service, Quality, Financial & Administrative processes and Overall performance. 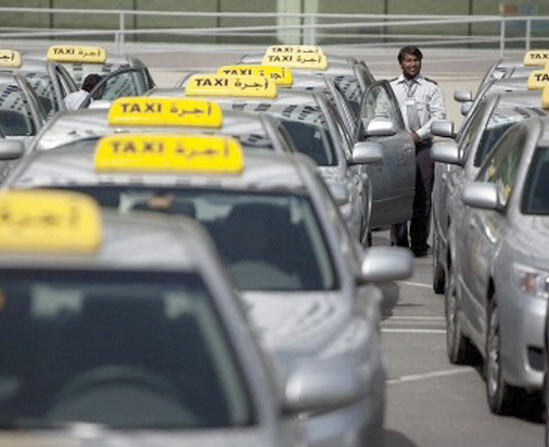 It led the way among all of Sharjah’s Taxi operators. Operating with a fleet of 1,200 taxies (1,199 + 1 vehicle for handicapped). The cars are operated by multinational mix of drivers, trained for utmost customer satisfaction and setting new standards of hospitality and safety. All cars are fixed with digital fare meters ( & dispatch system ). In 2005 we have been awarded the contract to cover the passengers traffic at Sharjah international Airport. We have workshop facilities in Sharjah where our entire fleet goes through routine maintenance and accidents repair.